I’ve always loved to exercise, and I’ve been strength training since college. However, I’ve only been focusing on calisthenics based workouts for the past 10 years. Before then, you could count on finding me on a bench press or leg press most days of the week. So how did I go from an iron-worshiping gym junkie to a calisthenics enthusiast? Well, it sure wasn’t a fast change that’s for sure. I had been into strength training in gyms for about 10 years, but I was getting pretty burned out and beat up from it all. I didn’t quite understand that quality is more important when it comes to technique so I was always overloading myself with more and more weight. This was really taking a toll on my body, plus I was using long and demanding workouts that were stressing my schedule and lifestyle. As a break, I decided to start using more natural forms of exercise like lifting rocks and logs. I wanted to start using my body more as Mother Nature intended so I figured what better way to do that then to literally lift in the natural environment? This little experiment was a lot of fun, but I found it was kind of limiting as far as what I could do. When all you have is a rock at your feet you quickly learn that all you can do is a) lift it off the ground, b) push it overhead and c) carry it around. Sure, there are a lot of variations of these three movements, but I found myself wanting a bit more which is what lead me to look into bodyweight training. At the time, I came across two influences in the bodyweight training world that was just starting to gain some traction. The first was the book Convict Conditioning which was the first time I learned about progressive calisthenics. The second influence was the advent of suspension trainers like the TRX and Jungle Gym from Lifeline. This simple tool gave me the ability to mimic most any weight machine and even many free weight exercises with my own bodyweight. 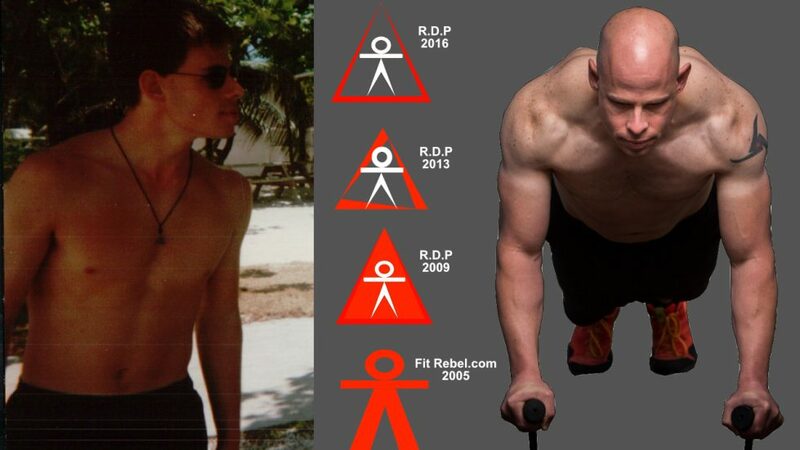 Together, these two tools opened me to the world of possibility that bodyweight training was a much more versatile and deeper discipline than I had known. Use safe steroid alternatives and stacks for a more effective bodybuilding experience! My workouts started happening more at the local park and less at the gym I worked at. I was also spending more time outdoors and didn’t want to be “cooped up” inside on a beautiful day. Naturally, this meant doing more bodyweight training just because it was easier to do at the local playground. I also noticed I was enjoying the bodyweight variations more than their weighted counterparts. I did more handstands and less overhead presses. Taking the time and effort to warm up to a heavy deadlift just felt like a hassle compared to simple hip extension and bridging. After several months I found myself hardly ever touching a weight. Once I realized this, I set myself a challenge to see how far I could go with nothing more than bodyweight exercises. I figured I would make some progress and then return to the weights once I had mastered the whole calisthenics thing. Well, it’s been ten years now and I feel like I’m no closer to calisthenics mastery than when I started! Sure, I’ve made a lot of progress and learned a lot in that time, but it’s like many other things in life. The more I learn, the more I understand just how little I know and how much further I have to go. Will I ever go back to the weights? I honestly don’t know. All I know is that I’m having too much fun and enjoying myself so much that I don’t miss them. Who knows what the future may bring, but for now I still feel like a beginner and hope I continue to do so for a long time.